Tell GR: What game series have you fallen out of love with? Growing old is tough. You don’t understand the stuff that younger people like. Grey hairs start popping up in unusual places (or those hairs fall out altogether). Things that you used to love, you no longer love. Considering that video games were part of many of our childhoods, it’s inevitable that some series we used to adore eventually fall out of favor with us. 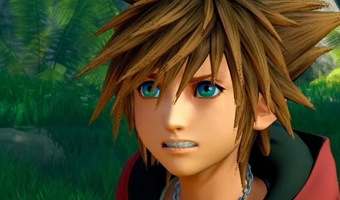 With this in mind, and with two big nostalgia-inducing games around the corner in the form of Resident Evil 2 and Kingdom Hearts 3, we asked our editors which game series they have fallen out of love with. As always, leave your own opinions in the comments section below, and we’ll feature the best response in tomorrow’s Tell GR! Paul Tamburro, executive editor: “Smash Bros. This is one of those weird instances in which I recognize that the most recent entry in the series is arguably its best, but it’s just no longer for me. I put countless hours … [Read more...] about Tell GR: What game series have you fallen out of love with?